We think we are finally in a position to say and show with a good deal of confidence what the third floor of the Central School Building looked like. 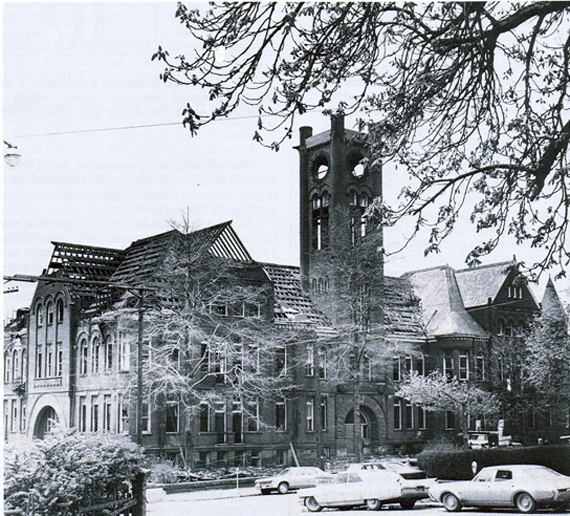 As you look at pictures of central building you notice that the building is surmounted by something called the French Mansard (French roof). The steep roof with windows creates an additional floor of habitable space. Those windows at the third floor level are at each end of the building not in the center almost as if there were at least two separate rooms. However, on the backside of the building the fire escape door or doors are located in the center of the building at that third floor level. That could indicate two rooms or one large room. 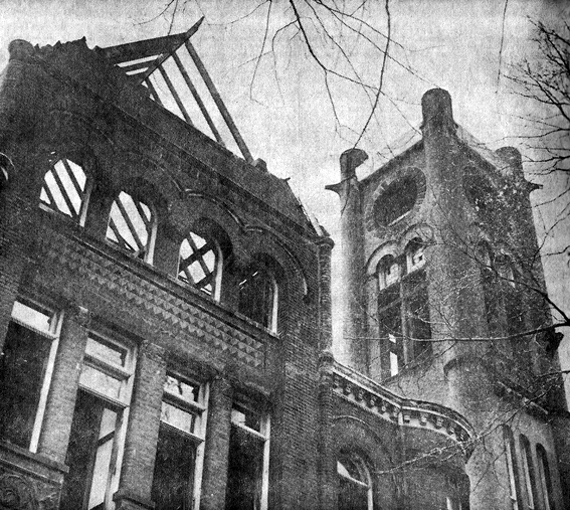 Central Building - The building contained 24 large rooms. 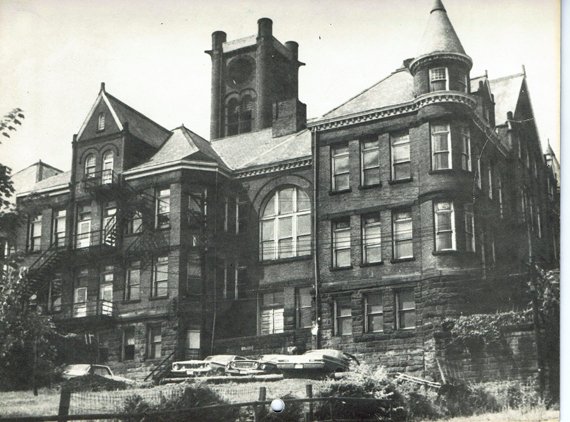 There were 18 classrooms, plus two "recitation rooms," the high school library, the superintendent's office, the school board's office and a "book room." 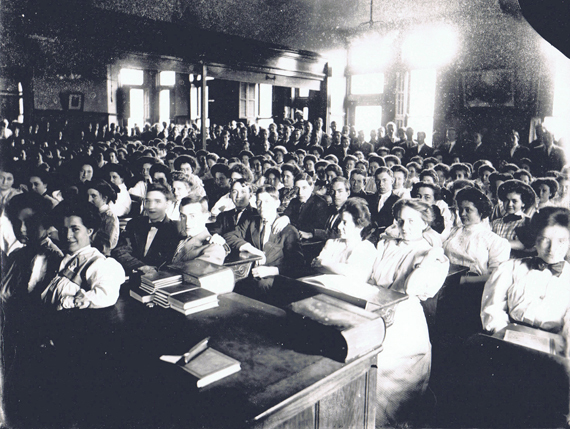 The newspapers said the building could accommodate 1,000 students without overcrowding. From a 1923 Sanborn Fire Insurance map. This diagram gives us some clues as to how the third floor may looked like. This would show us that the third floor would have 6 rooms. Across the front two large room on each end with two much smaller rooms on each side of the tower in the middle. In the back a large room on each end with a spacious area in the middle where the a window and door for the fire escape are located. The center hallway on the third floor runs the length of the building. First Floor. 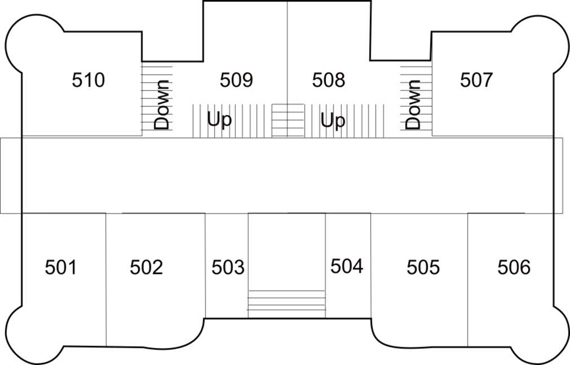 Based on this diagram there were 10 rooms on the first floor. Second Floor. 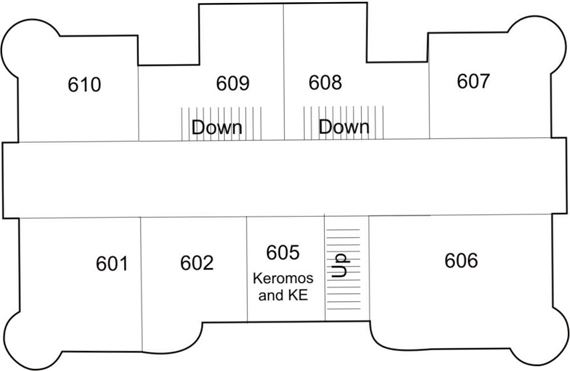 Based on this diagram there were 8 rooms on the second floor. Not counting the basement Central Building had 3 floors plus an attic. At each end of the building was a large section with rooms. Sort of like boxes attached to the narrower center. 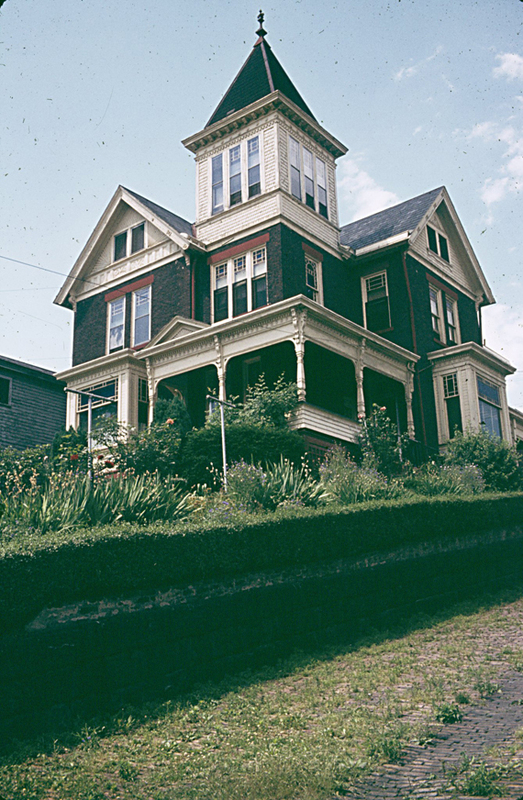 The house, the William Surls home had 3 floors. 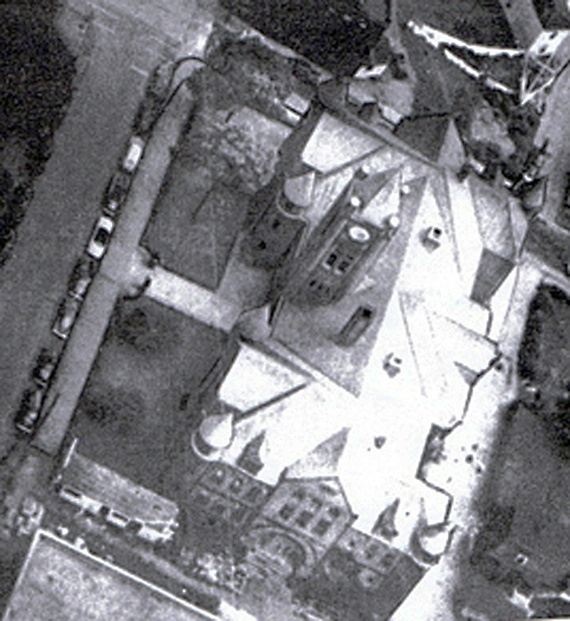 It has a similar type roof as Central Building had. There is a similarity between the Central Building roof-third floor and the Surls home roof-third floor. 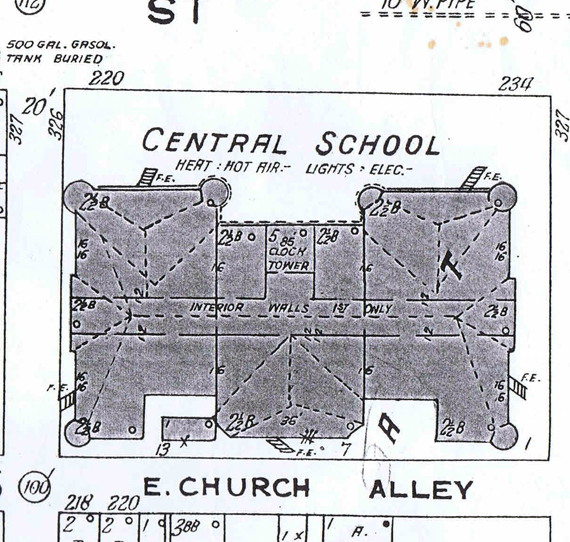 We can learn a bit about the third floor of Central building from the Surls home. Our focus in only on the third floor, the white or creme color sections of the house at the top. This picture probably shows the Surls house in the 1970's or 1980's. 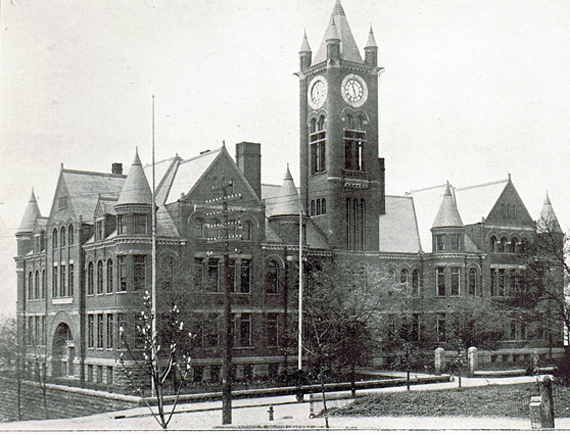 The Surls house only had a "boxy" look at one end whereas Central Building had that appearance at each end. See the three pictures that follow that show that clearly. Let's begin a walk around the house. This is a side view which tends to compare to the front view of Central Building. In the sense a similar view of the roof and third floor of both buildings from the same perspective. The other end of the Surls house. Obviously this is narrower than either end of the Central Building. One of the box appearing ends of the building. Highlighting the attic. The area of the 4 windows is on the third floor. Above that where the 3 windows are would be the attic. Demolition time. This at least gives a tiny peek of the a third floor room and the attic above it. 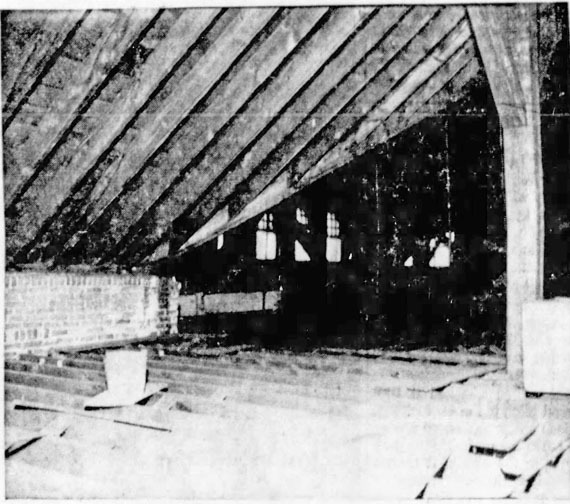 An interior picture of the attic. The Evening Review, September 2, 1964, Wednesday. Maybe a better view of this entire area. The location of this room is unknown. It's in Central Building but what floor and where on a given floor is unknown. It is a very large room, one that can be divided into two rooms by pulling down the divider clearly visible near the ceiling. It could be at one end or another on the third floor. The window there in the back is the inside of the window in the picture above. Notice the doorway on the right. That is to a small bathroom. Looking at the ceiling in this area. Modern plaster work.